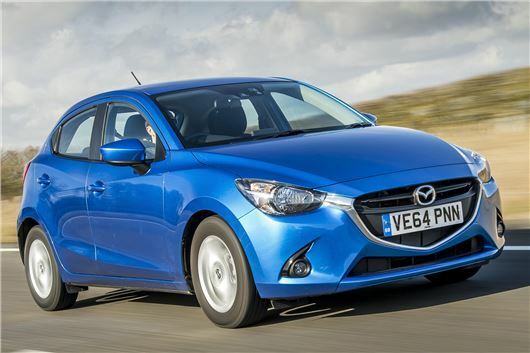 Four models of the new Mazda 2 are now included in the Motability programme with the Mazda2 1.5 75ps SE air con manual available with nil advance payments. Mazda recently exhibited at Motability's two-day 'Big Event' in Manchester. Mazda will also be exhibiting at Motability's regional ‘One Big Day' events at the Peterborough Arena, Cambridgeshire, on Thursday, 6 August and Stoneleigh Park, Warwickshire, on Saturday, 12 September. The Mobility Roadshow 2015 incorporating Get Going Live! will include several international exhibitors and organisations this year showcasing world-class solutions that assist with independent living. This unique adapted vehicle test-drive event and product exhibition for consumers is to be held at the historic Donington Park motorsport circuit in Derbyshire from 25-27th June. Alongside a range of specialist exhibitors from the UK, companies from The Netherlands, Sweden, Italy, Denmark, Germany and New Zealand will be showcasing their latest products and services to assist people living with disability. Bever Car Products, who developed the first electronic brake system in the car adaptation market, will be exhibiting from The Netherlands. They will be unveiling their new SmartBrake and SmartGas products to the UK market for the first time at the Mobility Roadshow – both in the exhibition hall and within a test-drive vehicle. Also from The Netherlands, accessible vehicle adaptation specialist B-Style & Flex-I Trans BV will be demonstrating their conversion kits which are supplied across Europe. Autoadapt from Sweden, a major sponsor of this year’s Mobility Roadshow, will have a driver assessment rig available at the show supported by their UK team at Elap. This vehicle adaptations specialist supplies a range of assisted vehicle seating, wheelchair lifts and hoists and aids for independent driving. From Italy, Guidosimplex will be exhibiting a complete range of driving devices for people with reduced mobility. This Italian supplier, a supporter of the Mobility Roadshow for many years, will be showcasing its lightweight passenger transfer solutions and the Accelerator Ring range for assisted, safer steering. Denmark’s Dahl Engineering will be launching the latest generation of its Docking station with new automatic lap and diagonal occupant restraint system. This in-vehicle tie-down system will now secure wheelchairs with ground clearance as little as 60mm and weighing up to 200kg. In terms of overseas travel and leisure for people with disabilities, Freedom Mobility and the Haus Rheinsberg Hotel will be at this year’s event explaining how they can provide greater access abroad. Freedom Mobility are New Zealand’s largest mobility vehicle rental company and provide wheelchair accessible vehicles, cars with powered lifting seats and other modified vehicles. For travellers interested in exploring Europe, visitors should speak to representatives from the Haus Rheinsberg Hotel in Brandenberg, Germany. This is a wheelchair accessible, lakeside hotel that has been specifically designed for disabled people to holiday with their relatives, friends and carers. Several multi-national exhibitors will also be exhibiting at the Mobility Roadshow to add further diversity to the 2015 event. These include the international vehicle access specialist, Mobility Networks, which will be demonstrating a range of powered access lifts, ramps and other pioneering solutions for disabled drivers and passengers. In addition to international and overseas companies at the 2015 Roadshow, the European Mobility Group (EMG) will be sponsoring the Drivers’ Departure Lounge. The EMG was established in 1988 to provide a hub for European companies and organisations in the vehicle conversion and adaptation sector to share knowledge, explore new ideas and develop networking opportunities. There are 12 EMG members exhibiting in their own right at the Mobility Roadshow, which represents around 25% of the organisation’s membership.